In this era of continuous decisions according to the consistently happenings, the organizations have to be updated and calculated. This can only be possible if there software development solutions are accurate and synchronized. 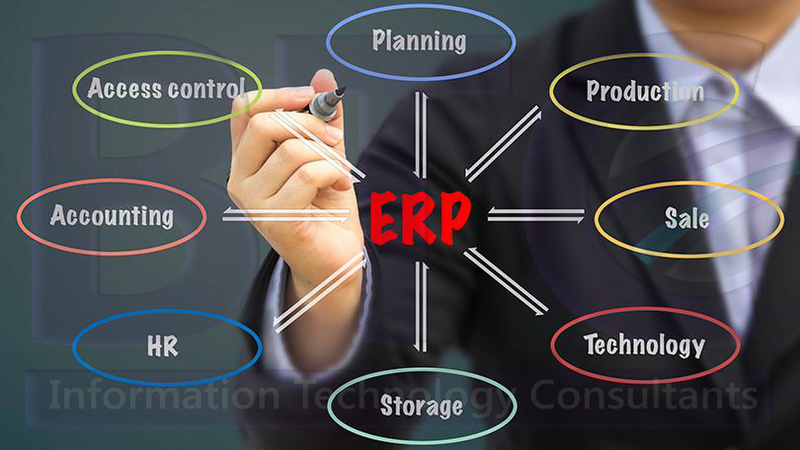 In response to this, ERP software companies in Dubai took the decision and decided to democratize ERP software solutions and introduce some tools that enable the business owners and higher management to take decisions accordingly and provide assistance to lower staff. It is also a fact that these solutions are not very expensive and help you in saving time as well. We have some other reasons as well through which you can engage ERP software companies seriously in Dubai and other Gulf estates. A major benefit of using an ERP solution in a modern business is that you can manage many core business areas with just one system. Financials, human resources, discrete manufacturing management, process manufacturing management, inventory management, purchasing management, quality management, and sales management. Technology changes quickly. Legacy enterprise systems can no longer support company growth. And many can actually impede a company from growing its business. Moreover, the cost of updating the programming of an old system often mounts up quickly. At some point, companies will find that it doesn’t make sense to keep an old system in place; it’s practical and financially sound to migrate to a modern, integrated solution. Technologies such as machine learning, data analytics, the internet of things (IoT), are subsumed within modern software systems. These state-of-art technologies are capable of deciphering trends and patterns that allow companies to make better decisions and hence gain a competitive edge. So to remain competitive and position themselves for growth, businesses need to use modern systems. They need systems that allow them to be flexible and scale their business. As these business solutions are designed by the experienced developers and you just have to use the front-end of the application so there is no need of hiring a developer separately as these applications are fully functional and drag and drop functions. You just need to open the application and start your work without wasting my time. When you need ERP software, you can immediately get in Dubai through ERP software companies like BTC and there is no waste of time and money as the system will be installed right after your confirmation. It is also important to mention that this software is equally compatible with Windows, iOS and Android as well. When implementing an ERP system, companies are forced to consider—or reconsider—their business processes and workflows. It’s a perfect opportunity to assess what makes sense, what works, what’s important, and what can be improved. And by running the ERP system, your organization can gain speed, efficiency, and accuracy in its business operations. A more efficient business is good for everyone. A modern ERP system will help you meet the demands of your business partners and external stakeholders, and it can help keep your employees happy and productive too. So through automation and integration, the ERP system can increase your organization’s productivity while reducing time and labor costs. In the past, there were only on-premises options available, but now, with the cloud technology, you can access the software from anywhere in the world so you can be able to attach to your business all the time and hassle-free access to the operational and financial activities at any time. Whether you’re a business looking to consolidate processes or looking to reduce overhead, getting the right ERP system is crucial. Find the best ERP software for you with us.